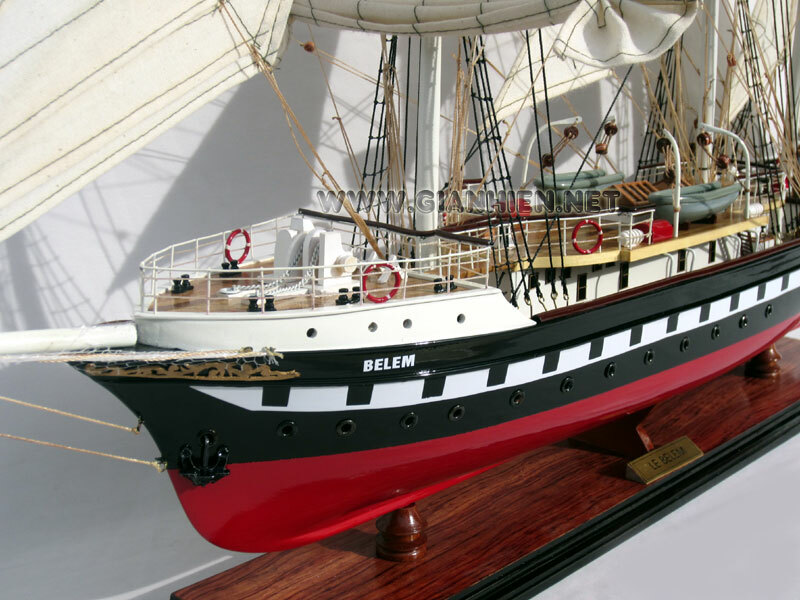 This model Le Belem is built from hard wood with planks on frame construction and then painted as the color of the real ship now. Our model is not a kit and ready for display. 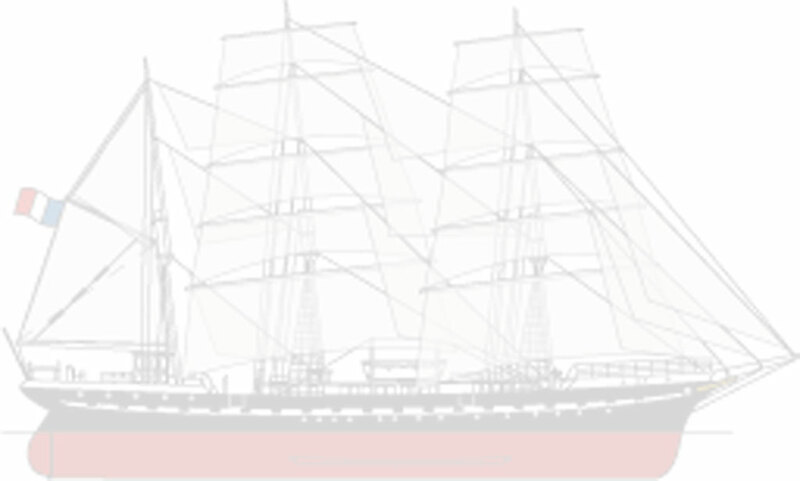 Ordered in 1895, the Belem was delivered to her shipowners on July 30th, 1896. She was especially created to transport cocoa and sugar from Brazil and the West Indies to Nantes, France. The boat was sold to the duke of Westminster, on February 11th, 1914. The Belem undergoes profound changes to be convenient for its new vocation : big luxury yacht. 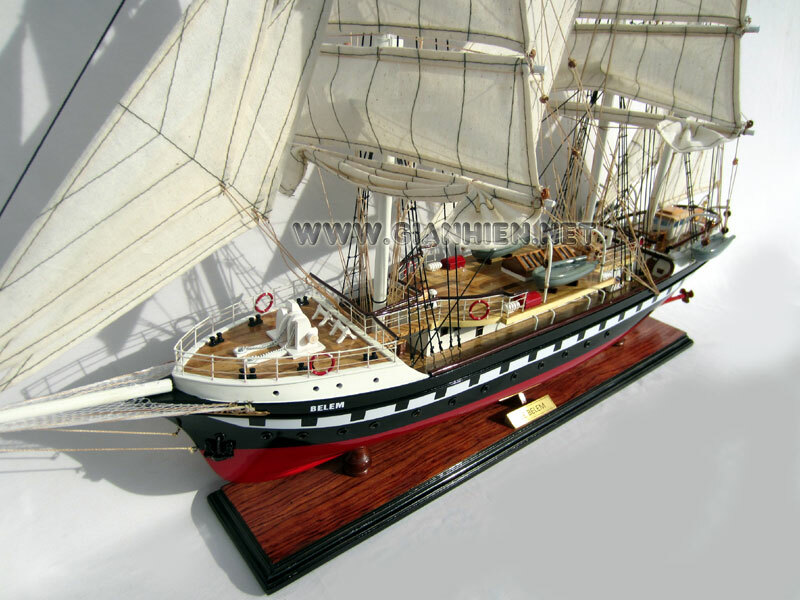 In September, 1921, after less than four years of navigation in the colours of the duke of Westminster, the Belem is sold to the Irish brewer Ernest Guinness. 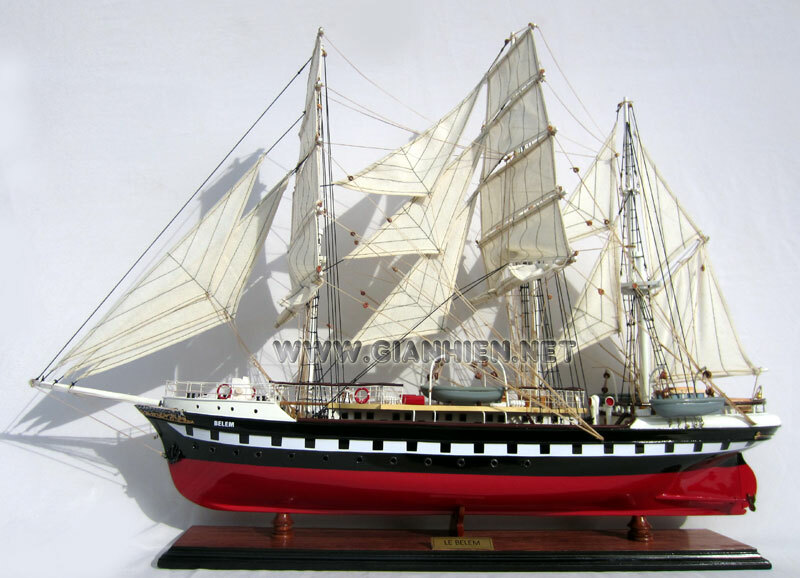 The boat is renamed the Fant�me II. Following the death of Ernest Guinness (1939) and the Second World War, the vessel was laid up in the island of Wight. 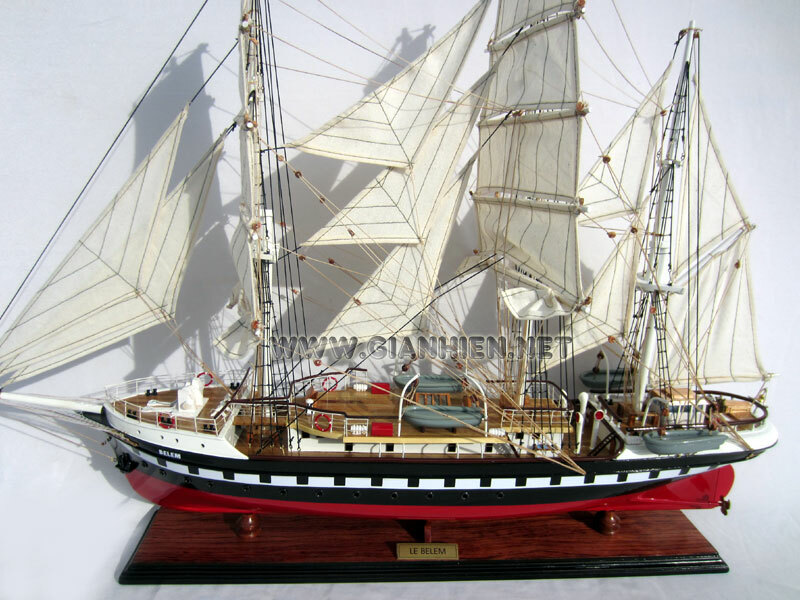 The Fant�me II is bought in 1952 by the italian foundation Cini to serve as its training ship. On 1979, thanks to a financial help from Les Caisses d'�pargne, the Belem ownership became French once more. 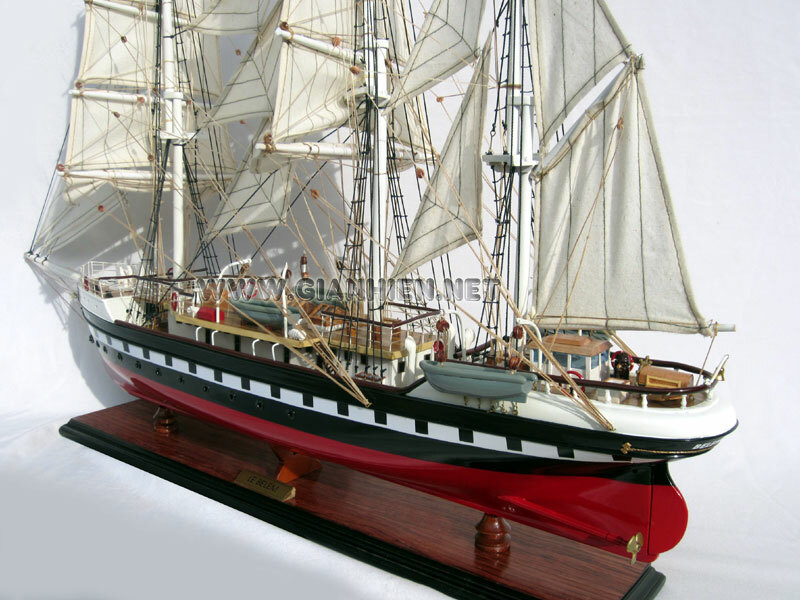 Note: Model is built from wood and painted. 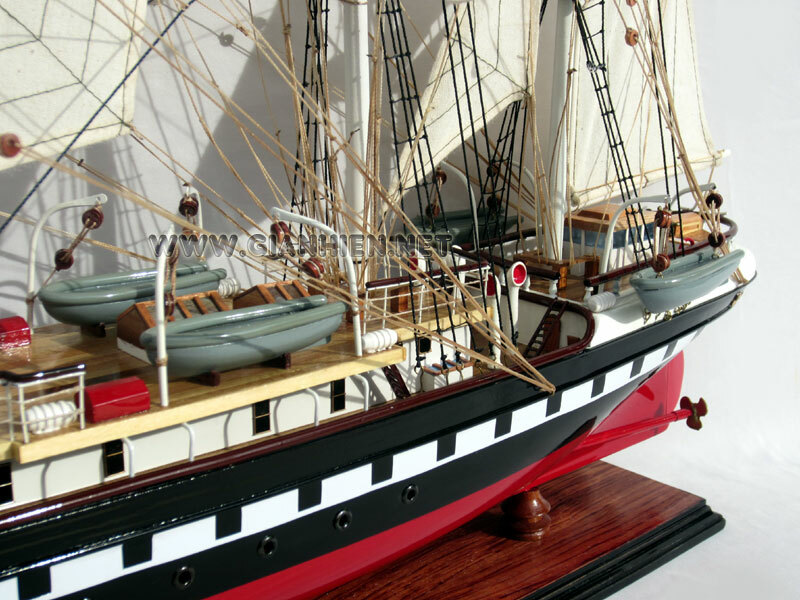 There is no plastic and the hull is scratch built with planks on frame construction.